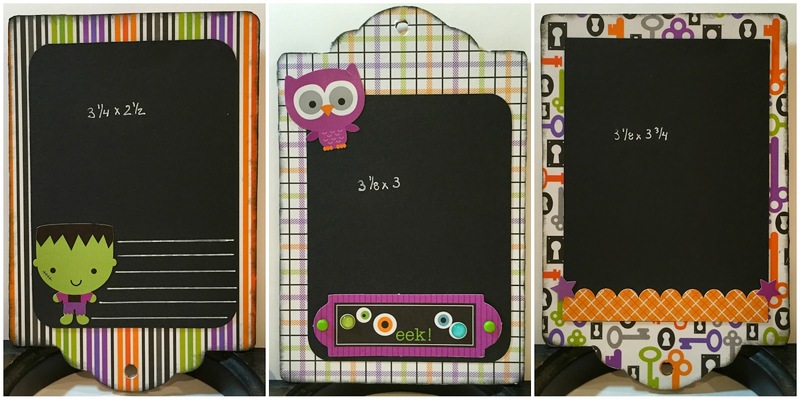 Hi everyone and welcome to the October Hop for Practical Scrappers. You should have arrived from Majken’s blog. For the hop this time we were challenged to use the theme of Fall or Halloween. 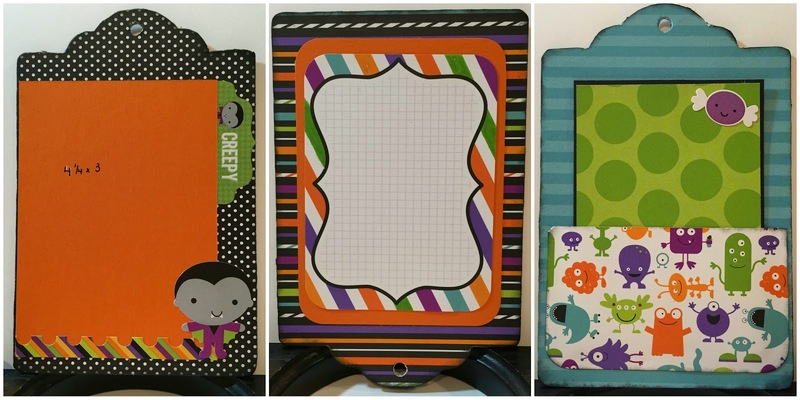 I wanted to use up some of my old Doodlebug Halloween paper, but didn’t have enough embellishments so I mixed two older paper lines and some new stickers and Doodle-Pops. 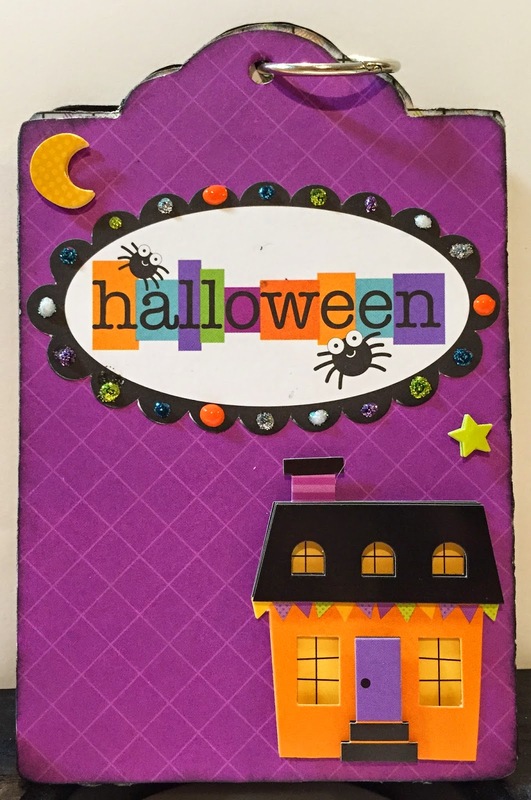 All the edges are inked with black ink to add to the Halloween feel, but I also find when using a pre-made chipboard album inking can help hide if your paper isn’t cut perfectly to size. Another tool I like when using pre-cut chipboard is Creek Bank Creations Sanding Sticks. 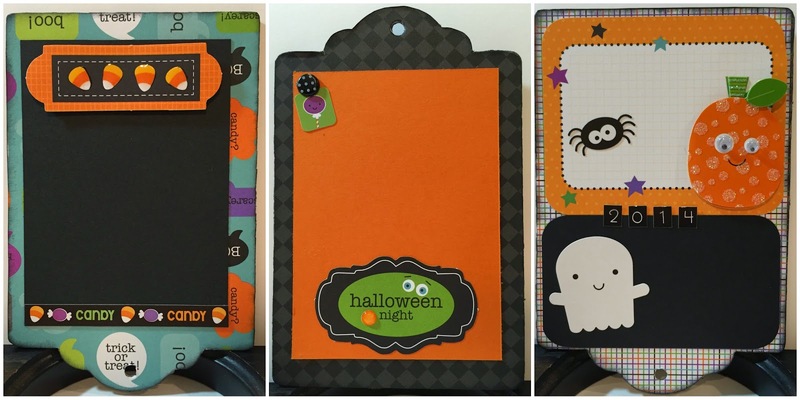 They allow you to file the edges of any paper that may be hanging over for a clean edge. Since the pages were so small to begin with I tried to keep the embellishments fairly simple so there was still enough room for a real photo. I think what ended up being my favorite embellishment was the candy corn cut out. I coated each of the corn with crystal laquer so they are shiny and raised…looks like candy behind a glass case. Which page is your favorite? Leave me a comment, and become a follower, and I’ll pick a winner on Sunday for a surprise gift..